Marijuana is the most commonly used illicit drug in the United States. It is estimated that 50% of American teenagers have tried marijuana for the first time before they graduate from high school. The main culprit of marijuana’s harmful health effects boils down to THC. THC, which stands for tetrahydrocannabinol, elicits psychological effects when bind with the receptors on nerve cells and fit like a lock. These receptors are commonly found in particular regions of the brain associated with memory, pleasure and thinking. This article runs down the effects of marijuana to brain performance and how chronic use of the drug affects the individual’s everyday life. Street names: pot, weed, herb. Marijuana is made from Cannabis sativa, a hemp plant. People can take up marijuana through smoke of the plant’s seeds, flowers, stems and dried leaves, although marijuana can now be mixed into food. At present, marijuana can be brewed as a tea, and controversially, utilize as a medicine. Concentrated form of marijuana is termed as hash or hashish. When cling to the brain receptors, the cells in the brain release a neurotransmitter called dopamine which is responsible for the feeling of euphoria. THC influences the hippocampus, part of the brain responsible for the formation of new memories. Other parts of the brain that are highly affected by marijuana are cerebellum and basal ganglia which primary functions include balance, coordination and movement. The hypothalamus -- the temperature-regulating center of the brain -- can also be moderately affected by long-term use of marijuana. Chronic users of the drug who display sluggish or blunt reactions, excitability and fear are said to have impaired function of amygdala, the region of the brain responsible for emotional response. § Learning. Students who smoke marijuana daily display reduced intellectual capacity and perform worse in school compared to non-smoking students who get higher grades. Further, regular smokers of marijuana exhibit increased absences and tardiness. They also have poor problem solving skills and are less attentive. § Driving. THC in marijuana affects certain regions in the brain that have something to do with memory and concentration. That being said, drivers who are intoxicated are likely to encounter accidents due to impair judgment, slow reaction time and poor perception of stimulus. § Pregnancy. THC found in marijuana can affect the brain development and emotional maturation of the fetus. Studies disclose that babies born to mothers who use marijuana demonstrate high-pitched cry, decreased response to visual stimuli and increased tremulousness. § Workplace. Smoking marijuana affects work performance. Regular and high level use of marijuana leads to less dedication and less motivation to work. Marijuana use also lead to impaired judgment and reduced concentration, making users accident-prone. Indeed, marijuana is addictive. Because marijuana has been a common drug in majority of the adolescents in the United States, 1 out of 6 teens are reported to have developed addiction to the substance. Over the recent years, most especially with the tolerance of medical marijuana use and increased access to the drug, more and more people have become dependent on marijuana. Note: Withdrawal symptoms of marijuana is similar to that of symptoms experienced during tobacco withdrawal which normally start 1 to 2 days after termination of marijuana, peak between 4 and 6 weeks, and last up to 3 weeks. Withdrawal symptoms include but not limited to irritability, decreased appetite, depression, anger and insomnia. A new study shows that chronic use of marijuana shrinks some parts of the brain, particularly hippocampus and amygdala. The study was conducted for several years were the main subjects were heavy users of marijuana. The finding was surprising. 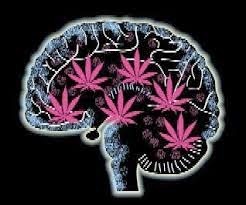 The hippocampus of marijuana users decrease by 12% in size compared to people who do not smoke marijuana. Similarly, amygdala, part of the brain that involves in memory and emotion, was 7% on average. Furthermore, the study suggests that people who use marijuana for long periods have higher tendency to report symptoms associated with mental health problems. It is also reported that they performed worse on a verbal learning test but researchers are not sure if such is associated with the decrease in volume of some parts of the brain. You have some very good information here. I just joined Kannaway that has hemp oil products myself. I made a review site at http://mindpowerprayer.org feel free to check it out and leave a comment. Am here to appreciate Dr.Ogoni for using his herbal medicine to cure my Herpes virus. since 3 years now I have been living with this virus and it has been giving me challenges, I was so perplexed cause i have been taking several drugs to get cured but all effort was in vain,one morning i was browsing through the internet then i saw several testimonies about Dr.Ogoni curing people from Herpes virus and immediately i contacted Dr.Ogoni on his email: dr.ogonisolutiontemple@gmail.com, i told him about my worries and he wrote to me that i must get cured and gave me some instructions which i rightly followed. so he prepared a herbal medicine for me and sent it to me which i used for 3 weeks and everything was like a dream to me and my Herpes virus was totally gone, why don't you contact him today and be free from your diseases because he is very good and honest Doctor. contact him via email; dr.ogonisolutiontemple@gmail.com or whatsApp him on +233 573 795 910. Some people may feel upset or embarrassed about the condition which they are suffering from,https://canadianviagras.net/pill/viagra-canada/ and it can be an unpleasant and stressful experience for them to have to visit a local pharmacy to pick up their medication. A lot has been said about detoxification,neworlddetox.com detoxification diets and if they are needed, healthy or suitable for the body. They are expected to be attentive and accurate, but also friendly and knowledgeable. It slackens you up, gets your blood streaming, discharges strain and stretch, and is outright fun. It's likewise exceptionally healthy.